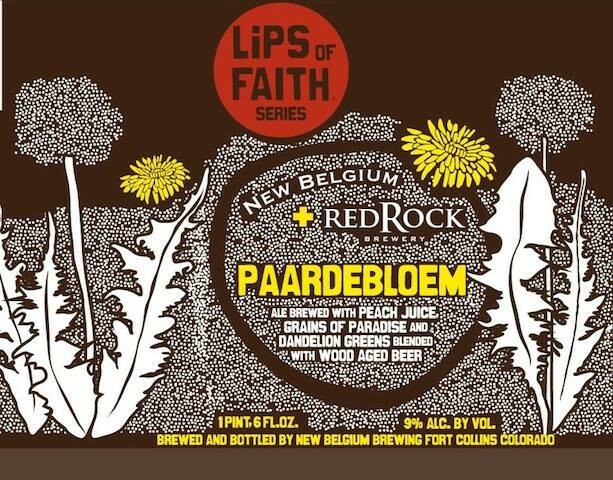 Join us at the Nomad for a taste of this Lips of Faith Collaboration between New Belgium and Red Rock Brewing. This is the 6th collaboration from these two breweries, and it definitely doesn't disappoint! Using dandelion greens to bitter a Belgian-style ale, expect a wonderfully complex ale fermented with wild Belgian yeast and blended with just a touch of wood-aged beer. Bitterness imparted from dandelion greens and grains of paradise will have you blowing wishes for sips.